Monitoring the well-being of children and adolescents is a critical component of efforts to prevent psychological, behavioral, and health problems and to promote their successful development. Research during the past 40 years has helped identify aspects of child and adolescent functioning that are important to monitor. These aspects, which encompass family, peer, school, and neighborhood influences, have been shown to be associated with both positive and negative outcomes for youth. As systems for monitoring well-being become more available, communities will become better able to support prevention efforts and select prevention practices that meet community-specific needs. There is evidence that supports the importance of certain factors for young people to function successfully including academic success and participation in volunteer activities. Research also has identified biological, psychological, and social factors that are associated with negative outcomes in youth; these include substance use, antisocial behavior, risky sexual practices, and academic failure. From a public health perspective, the problems most important to monitor can be chosen based on their prevalence and consequences to youth, their families, and communities. Communities can choose which factors to monitor based on the prevalence and consequences of these factors in their community. This monograph describes Federal, State, and local monitoring systems that provide estimates of problem prevalence; risk and protective factors; and profiles regarding mobility, economic status, and public safety indicators. Data for these systems come from surveys of adolescents and archival records. By focusing attention on measurable outcomes, Community Monitoring Systems (CMSs) can help bring about critical improvements in the lives of children and adolescents and affect positive changes at the community level. To the extent that these systems can be made available to communities, they will foster support for prevention efforts and guide selection of increasingly effective prevention and treatment practices. As communities become skilled at implementing and operating CMSs, they can use data to guide them in choosing programs, policies, and practices (PPPs) that address malleable risk and protective factors in order to prevent young people from engaging in risk behaviors, which in turn can help bolster the well-being of the entire community. Support research to help improve CMSs. Research can improve the validity of data collection systems, identify efficient methods for widespread implementation, evaluate the effects of such systems on outcomes for young people, and assess their cost-effectiveness for promoting effective prevention. Play a leadership role to help states and communities define the aspects of youth functioning, environments, and risk and protective factors most in need of monitoring. Provide funding to enable states and local communities to develop the infrastructures required for collecting, organizing, and making data available on child and adolescent well-being. Develop and encourage use of policies calling for assessments of child and adolescent well-being, which can influence the adoption of CMSs. Develop a unified approach in support of the development of monitoring systems. Development of systems for monitoring the broad range of child and adolescent indicators is hampered by the fact that responsibility for various aspects of functioning is spread across multiple Federal agencies. Develop a clear set of policies that makes child health assessment systems a priority. Pursue a consensus among state agencies and local communities about which aspects of child and adolescent functioning to monitor. Create coordinated, comprehensive systems that assess child and adolescent well-being and assist communities in collecting and organizing the data. Compile collected data from Federal, state, and local agencies into public archives and make these data available to the communities. Provide training and technical assistance to communities on how to use data on risk, protection, and youth outcomes in planning drug abuse and violence prevention activities, social services, youth development programs, and educational policies and programs. Develop a community consensus regarding which behaviors—and influences on those behaviors—require monitoring. Develop a coordinated strategy among local agencies to collect, share, organize, and make use of available data. To the extent that the use of such data becomes a standard practice in the community, a greater number of effective preventive practices will be shaped over time. Encourage local news media to responsibly and judiciously report the results of assessments and to describe the efforts that community leaders are making to respond to the findings. Use data to guide prevention and treatment practices in the community. When programs and practices demonstrate success in reducing a problem (i.e., heavy episodic drinking), such programs should receive recognition and increased community support. The collection, organization, and use of community monitoring data may seem remote from the personal and compelling details of the lives of our youth. However, as communities become skilled at implementing and operating CMSs, they can use data to guide them in choosing PPPs that can prevent major negative outcomes and provide faster improvements in the lives of youth, their families, and communities. By focusing attention on measurable outcomes, CMSs can help bring about genuine and critical improvements in the lives of children and adolescents and affect positive changes at the community level. Federal and state efforts in providing data, infrastructure, funding, and guiding policies enable localities to make population- and problem-specific prevention plans. NIDA. "Community Monitoring Systems: Tracking and Improving the Well-Being of America's Children and Adolescents." National Institute on Drug Abuse, 1 Sep. 2007, https://www.drugabuse.gov/publications/community-monitoring-systems-tracking-improving-well-being-americas-children-adolescents. NIDA. Community Monitoring Systems: Tracking and Improving the Well-Being of America's Children and Adolescents. National Institute on Drug Abuse website. 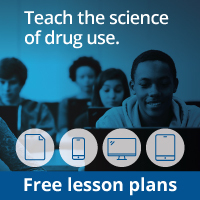 https://www.drugabuse.gov/publications/community-monitoring-systems-tracking-improving-well-being-americas-children-adolescents. September 1, 2007.